Thomas Woolley has written in to tell us about the new podcast he’s launched with a couple of friends. It’s called “Maths at: the Movies” (I suspect the colon is leaving them wiggle room to look at other media) and features co-hosts Thomas and Ben M. Parker chatting about films with “interested observer” and asymptotically anonymous woman “The Wonderful Liz”. As part of our special Apéry takeover today, I chatted to mathematicians Ben Sparks and James Grime, to find out what we know about the mathematics Apéry did – it’s an enjoyable 10-minute listen. Anna Haensch and Annie Rorem are the hosts of a new podcast, The Other Half. This post is based on the first episode, about racism and segregation. In episode one of The Other Half, we look to mathematics as a potential tool for understanding racism and segregation in our society. To get a sense of the extent of segregation in the United States, we turn to a beautiful, startling tool to visualize it. Literally. 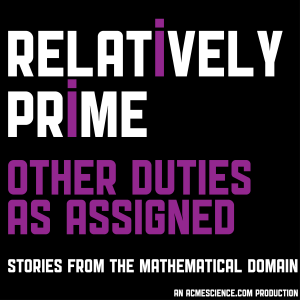 You probably remember Relatively Prime. This is a series of audio podcasts from my sometime collaborator Samuel Hansen, including stories about checkers, survival housing, swine flu, juggling, a Spanish basilica, and an alien civilization in England. They’re good. Go and listen to them. Cory Doctorow described himself on boingboing as “a great fan of Relatively Prime” and the Chinook episode as “one of the best technical documentaries I’ve heard“. 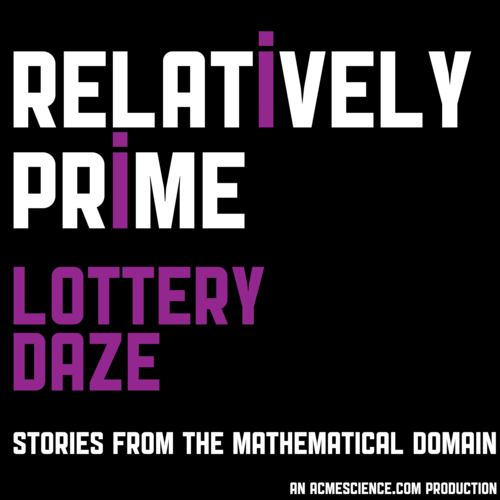 Tim Harford described it on Twitter as “a great podcast of storytelling about mathematics“.